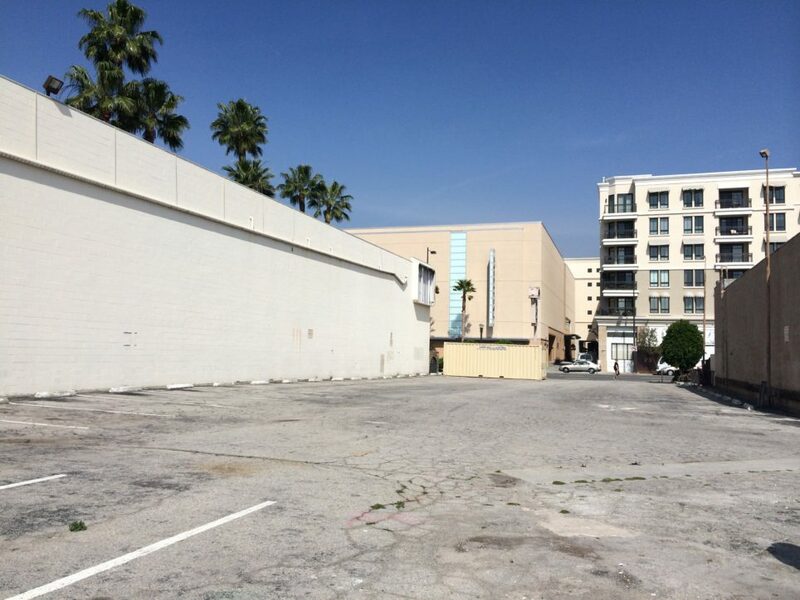 The 21,000 square foot site is located directly across the street from the Americana at Brand, in the heart of downtown Glendale, Los Angeles. It takes a long and narrow L-shape. 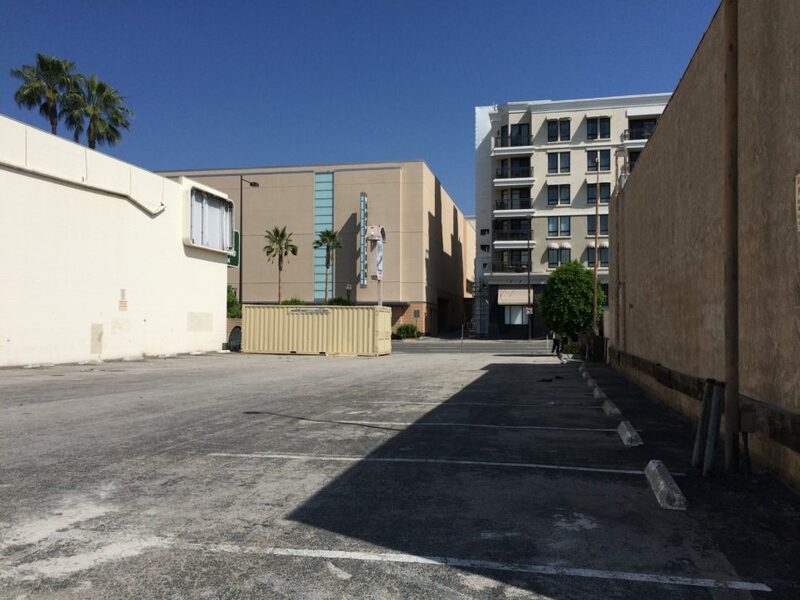 Three major units surround it: a three-story lower-range hotel to the west, a strip mall to the south, and a one-story retail building to the north. Once the lot was purchased, we had to decide what to develop on it. The options considered included a restaurant, a retail business, a hotel, or multi-family housing. Our intent to manage the developed property was an important factor. Ultimately, we opted to develop a hotel on the site. A successful, well-managed lodging business could turn the lot into a high-yield income property. Before beginning to develop the property, we chose a brand strategy. The site is an awkward shape, so we needed a brand that allowed for creative design. The brand's design sensibility would need to be compatible with the site's downtown Glendale location. We also wanted a brand that would attract higher-income tourism so as to avoid competing with the hotel next door. Vista carefully considered a broad array of potential brand solutions. 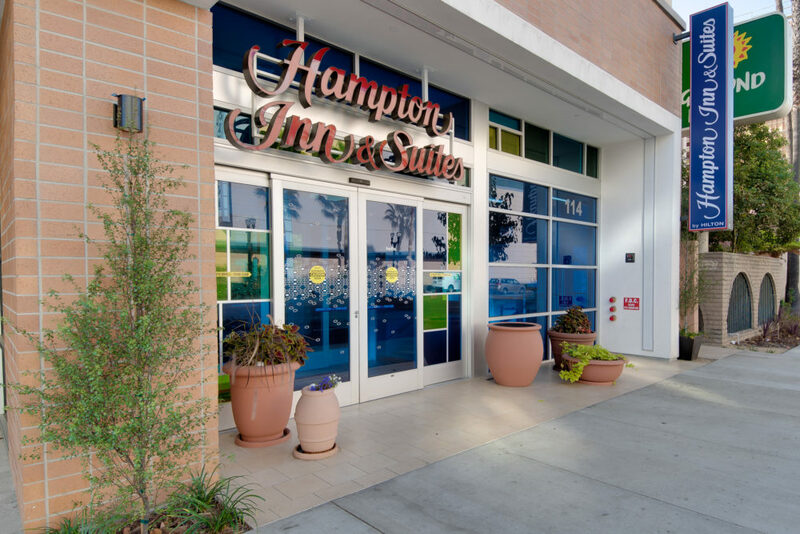 Ultimately, encouraged by our revenue management team's findings, we chose Hilton's Hampton Inn & Suites as the brand that would most increase the real estate value of the lot. Vista Investments has an excellent relationship with the brand. 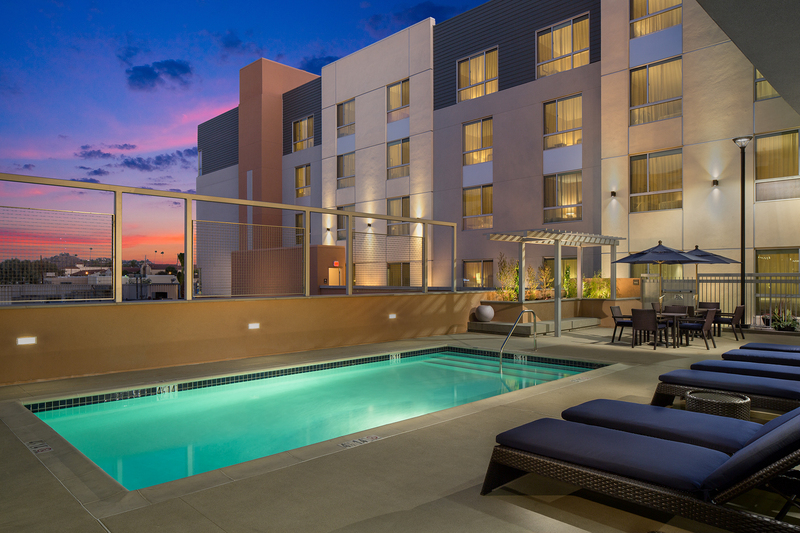 Hampton Inn & Suites attracts the quintessential Glendale tourist. 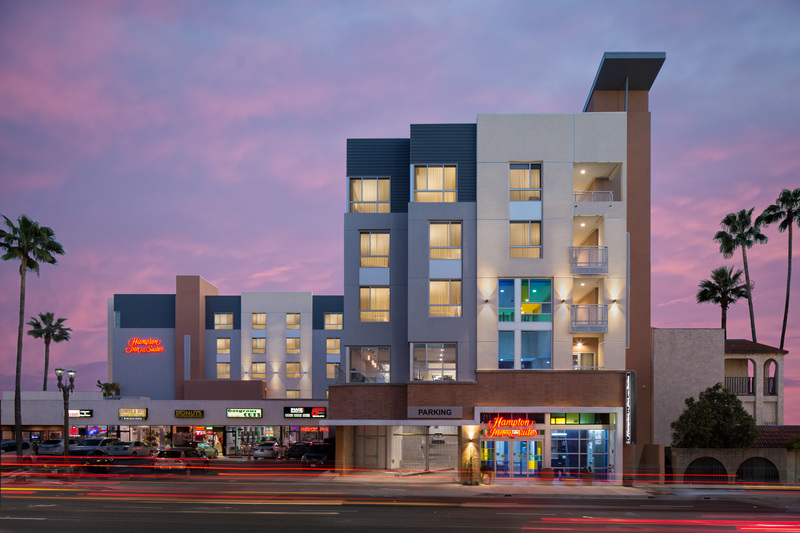 Furthermore, Hampton's flexible design package both fit the atmosphere of the Glendale area and accommodated the unique shape of the project site. 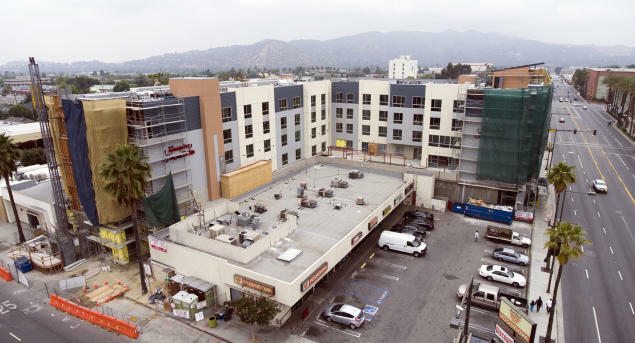 In order to make the Glendale project a success, Vista Design/Build had to overcome the awkwardness of the lot itself. The 21,000 square foot site is in an excellent location, but it takes a long and narrow L-shape. The three major units surrounding the site are built up to their property lines and minimize its visibility from many angles. A bold entryway was proposed to improve ground-level visibility. Signage and visibly staggered levels were proposed to further increase the visibility of the property. The hotel to the west prevents the possibility of functional windows on the western side of the property. A fire wall and a single-loaded corridor with guest rooms facing east were proposed to tackle the issue of the windowless western wall. To further compensate for the lack of windows on the western wall, the proposed interior featured ample indoor lighting. In this design, the monotony of the windowless west wall was broken up through the use of color blocks and partitions. Poor view opportunities were also a concern. 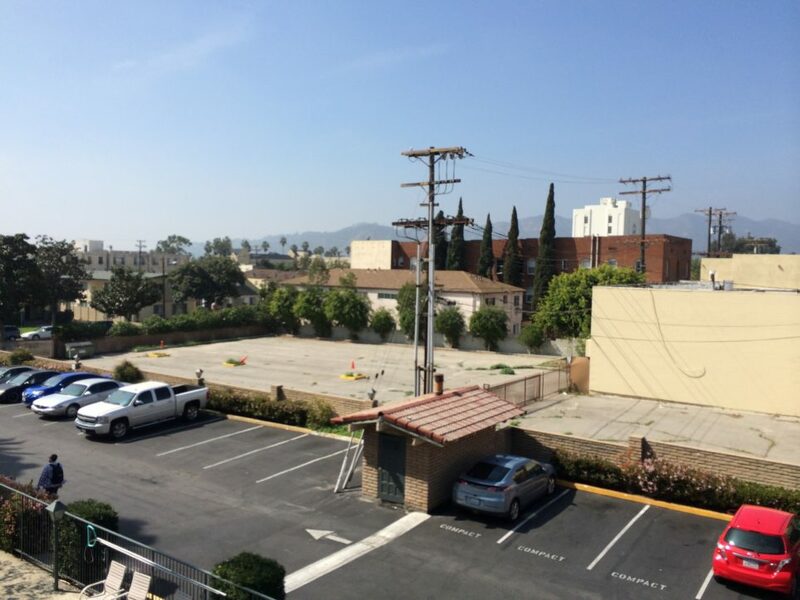 A podium on the ground floor would improve opportunities for views of the mountains and downtown L.A. from guest rooms and public spaces from the second floor upwards. The narrow lot shape plus the proximity of the surrounding properties limits opportunities for ground-level parking and public spaces. A two-level parking garage, shaped to work with the lines of the property, would be added below-ground. Public spaces would be concentrated on the second floor. The shape of the lot presented obstacles to natural crowd-flow, so the main entryway of the hotel was planned for the north side. That wing would function as the focus of the hotel's public spaces and allow for privacy in the room wing to the south. Public spaces would feel central because guests would move through these spaces to access private rooms in the other wing. 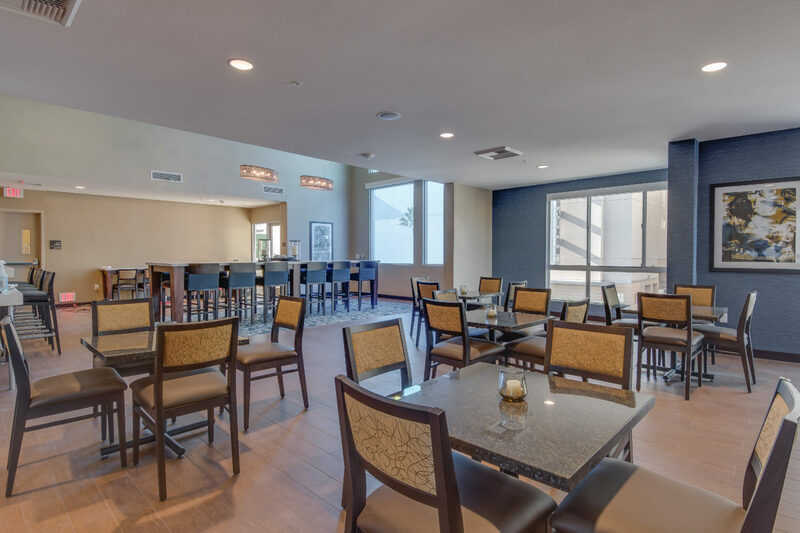 Careful management has established the Hampton Inn & Suites as a go-to Glendale area hotel for business travel and tourism. 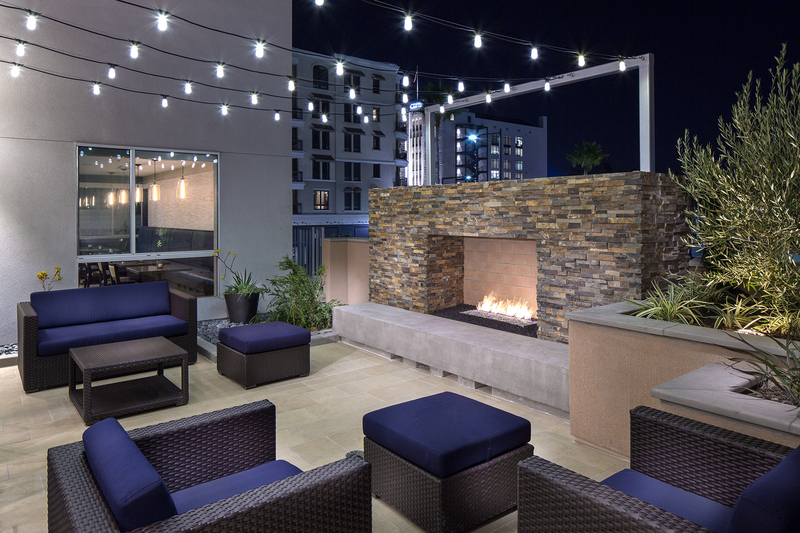 The Hampton Inn & Suites design sensibilities are in line with the aesthetic of the downtown Glendale area. 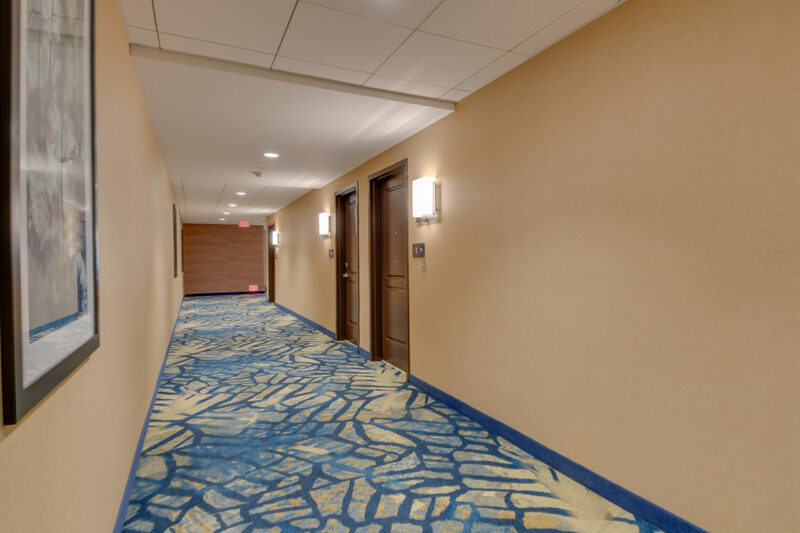 The flexibility of the Hampton Inn & Suites design package allowed us to work with, rather than against, the shape of the lot. 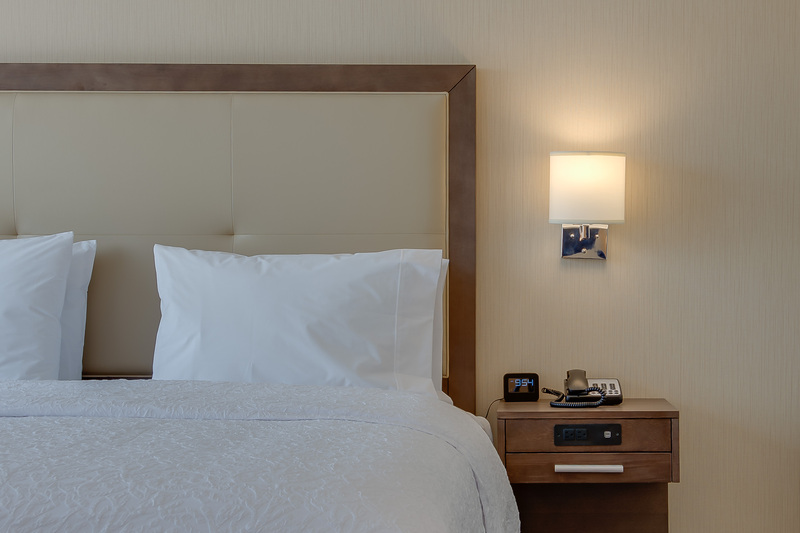 In rooms, features like soft lighting, neutral tones, and clean lines appeal to the Glendale tourism market. The flexibility of the Hampton Inn & Suites design package allowed us to work with, rather than against, the shape of the lot. The finished Hampton Inn & Suites is 70 feet tall at five stories above ground. Thanks to a bold blue-and-yellow glass entryway, the hotel is notable on the ground level. Signage and staggered levels improve visibility from a distance. Valets service the two-level underground parking lot. A pool, fitness area, and fireplace were added outdoors, on the second floor. They are designed to highlight the view of the hills in the distance and to obscure the immediate surroundings. 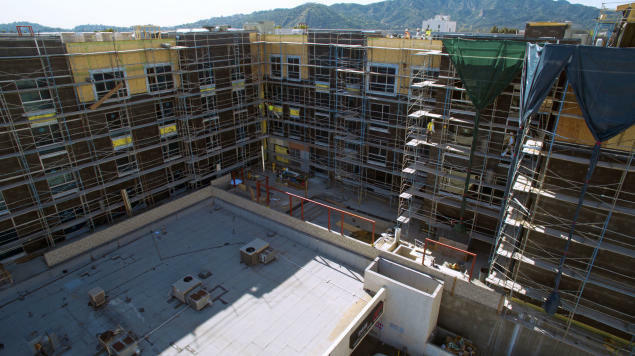 The fire wall along the western property line is coupled with a single loaded corridor with guest rooms facing east. This solution completely obscures the three-story motel next door without sacrificing a natural, balanced feel. In these spaces, lighting and colorblocked design break up the windowless western wall. 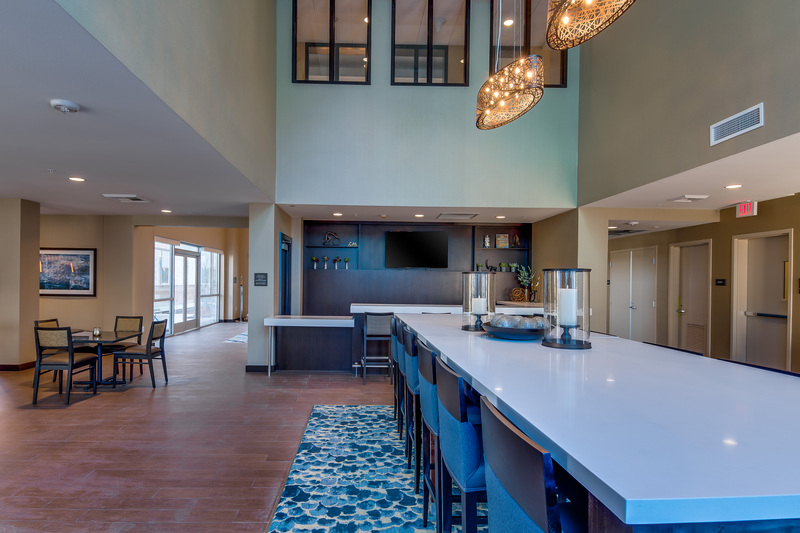 The 17-foot-high podium on the ground floor brings the public spaces and rooms (on the second floor) above the neighboring buildings, allowing for views of the mountains from the second-floor pool deck. As the building rises, south-facing views continue to improve. By inviting guests to explore and move through the space, the open-plan public spaces for dining, working, and lounging make the narrow shape of the lot feel more natural.